Anchor Tracey McCain wakes you up every weekday morning from 4:30 to 8:30 a.m. on WFMY News 2’s The Good Morning Show. Tracey brings her warm smile and 17 years of news journalism to WFMY News 2, but the job’s biggest thrill is the location. Tracey is incredibly happy to be home in North Carolina, broadcasting news in the community where she grew up. The University of Connecticut graduate got her start at WSHM in Springfield, MA and then later at WFSB in Hartford, CT. While in the Northeast, Tracey covered mostly crime and politics. Her reports helped shed light on several political scandals and crime rings. Her effort and skill led to several regional award nominations in journalism. 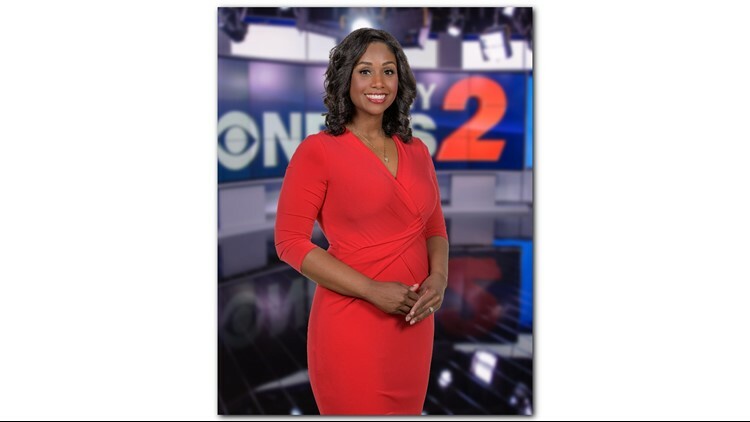 While Tracey’s career was certainly in bloom up North, home was calling and she jumped at the chance to report at the station she grew up watching: WFMY. Tracey keeps busy volunteering for several Triad organizations and serves as a motivational speaker and role model for young people in the community. When Tracey’s not at work, she enjoys not being at work. A self-proclaimed nerd, you can find her at the library curled up with a good book or taking in local artwork at area galleries. Tracey is a member of the National Association of Black Journalists, a member of the National Press Photographers Association, and Alpha Kappa Alpha Sorority Inc. Tracey has been twice nominated for Emmy Awards for her involvement in the community service program “Read 2 Succeed.” In January 2015, her hard work paid off when she won an Emmy.